• Mattssons band, Kungsgatan 19, Stockholm. • Sundbybergs textilcentrum, Jävägatan 56, Sundbyberg, Stockholm. • Siden-Carlsson, Drottninggatan 80, Stockholm. • http://tygverket.nordicshops.com – A lot of everything. One bigger shop and then a separate shop with printed exclusive fabrics incl. Liberty´s. S:t Paulsgatan 3+19, Stockholm. 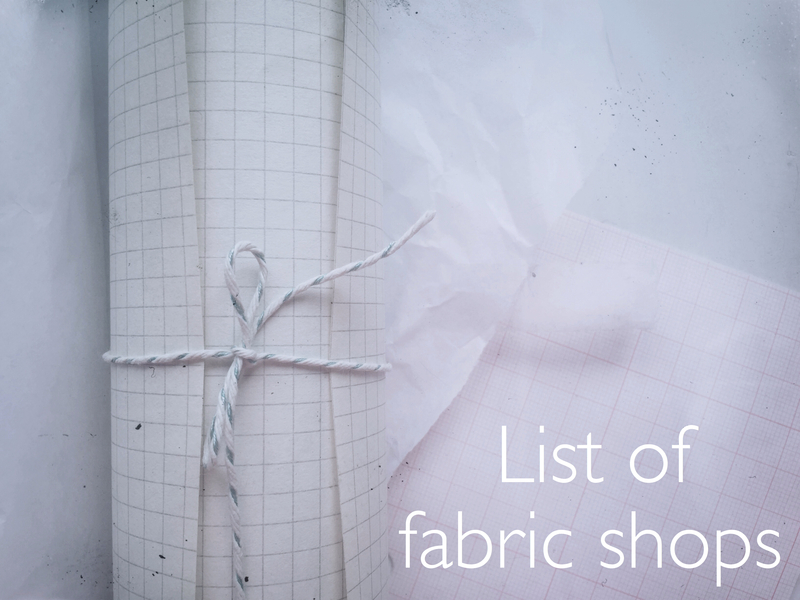 You deserve to know your fabrics! Is this material suitable for the design I have in mind? And ask the pros in the stores to motivate their answers. What are the care instructions? Can you wash it in your washing machine? Will it pill? Is this material sustainable or recyclable?